The South African healthcare industry is a large and complex system, still reflecting, within places of its design, the nation’s fragmented history. The public sector comprises 52 health districts across 9 provinces managing approximately 1000 hospitals and a further 3500 health care clinics offering almost 87 000 beds. In parallel to the public system, private healthcare provides about 31 000 beds via a network of just over 200 hospitals – although this sector services only about 17% of the population through insurance offered by the 90 private medical schemes within the country. Beyond this network of care facilities, an endless list of retail pharmacies and medical practices create a diverse network, operating within a complex regulatory framework, sometimes challenging geographies, limited budgets and an ever-increasing number of patients. “Considering the complexity of the retail and patient care aspects of the industry, robust and agile supply chain solutions are imperative to the wellbeing of our nation, but traditional options are likely to fall short in a space where innovation and quality obsession is demanded in equal measure.” Says Tyrone Rennie, Solution Development & Marketing Executive and supply chain specialist Barloworld Logistics. “As the industry adapts to trends such as automatic dispensing, retail pharmacy service consolidation and the facilitation of self-medication, traditional methods of ship-and-dispense will have to be critically reviewed to keep up”. 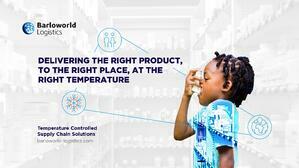 Traditionally, the pharmaceutical supply chains within South Africa are managed from large distribution centres, following strict temperature control regimes and using large fleets of cold chain vehicles to maintain such from warehouse floor to pharmacy counter. 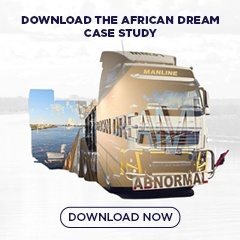 While this basic premise of medication distribution holds true, demand driven by data analytics and pharmaceutical personalisation are requiring faster delivery, more often, to more venues than traditional medical centres. 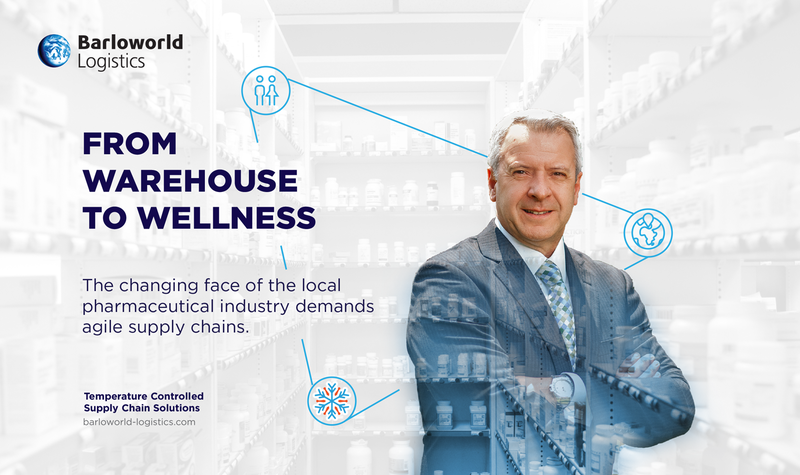 The drive by consumers to self-medicate, to adopt pre-emptive wellness treatments, to want products at their homes or from automated deliver points is not only augmenting what a traditional cold chain looks like but is creating a supply chain more heavily reliant of predictive analytics than ever before, says Rennie. Supply chains driven by consumer data not only demand profound insight but accurate end-to-end visibility to ensure product efficacy at the point of consumption and responsiveness to demand fluctuations and trends. “We are moving to a world where a smart wearable device will be able to trigger an order on behalf of the wearer for health products required to bolster physical wellbeing”, argues Rennie. “Where such data will integrate with medical records to augment formal health care treatments and aggregate on a macro level to identify health trends in specific geographies or demographics. All of this data will be used to shape the supply chain to deliver customer satisfaction, whilst still doing so in a manner that unlocks value for the organisations involved. Ultimately the pharmaceutical supply chain is orchestrated with one goal in mind – to deliver quality products, throughout the health care system, exactly when needed, to foster better service to our citizens and ultimately enable a healthier nation.